Kyoto is a popular tourist spot due to its’ history as an ancient capital, traditional atmosphere, and many events such as free-markets and light up shows. Taking a walk in the old city is great to avoid the heat. 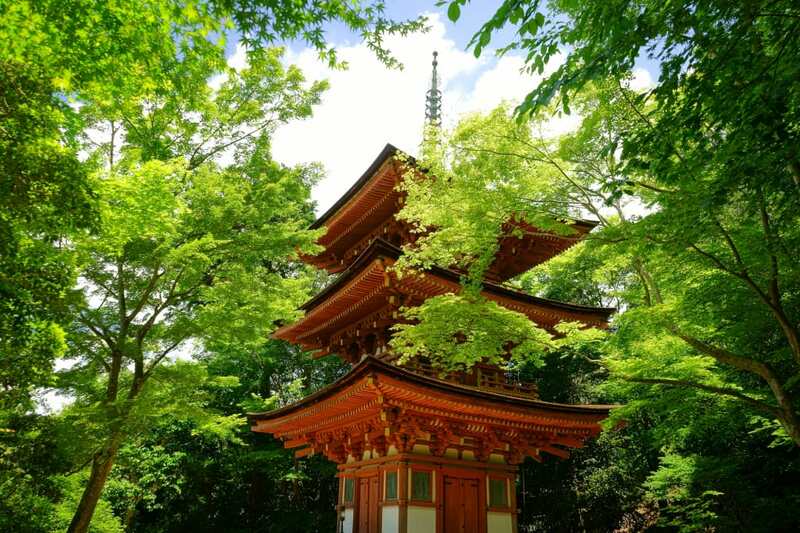 Let’s enjoy the various atmospheres of Kyoto, you might end up liking Kyoto even more! Kyoto can get hot easily in the summer due to it being a basin. For that reason, various techniques have been adopted to forget the heat from long ago. One of these techniques is Nouryoudoko. Nouryoudoko is a place where restaurants create a cool feeling environment through building a cabin on the river or near the river to let guests feel the flow of the water and the wind from the river. In the past, you had to sit of the floor, but now most stores have tables and chairs making it much easier to relax. The Nouryoudoko is held in various but we recommend the Shozan Resort Kyoto for its spectacular view of the Takagaminesanzan landscape. Being the top resorts of “Kyo” in Japan, it is wrapped in beautiful four-season scenery with its small stone pavement, winds crossing the bamboo grove and cool river streams. The Nouryoudoko is called Shozan Keiryoudoko and is a Ryoudoko overhanging a river that runs through a Japanese garden. You can enjoy this special spot till October 1st. There are also dedicated events in Kyoto where you can enjoy Ryoudoko. Among them, we recommend checking out Maiko no Yubeta. You can enjoy watching Maiko’s dance and taking pictures with them when they go around each table. Let’s enjoy Japanese culture and cooling techniques that incorporate Kyoto’s fantastic scenery perfect for the summer. ※You need to reserve at least by 15:00 of two days before your reservation date if you want to reserve 涼風づくし course. Founded in Meiji 40, “Kyoto Takao Momijiya” is an inn located at the entrance of Takao Mountain along the road (Route 169) extending northwest from Kyoto capital. Takao, most well-known for its autumn leaves is a beautiful place where you can enjoy the nature all year long. Moreover, during the summer, temperatures are usually 3 to 5 degrees cooler than Kyoto city. Why not step out of the city to enjoy this beautiful and cool environment. 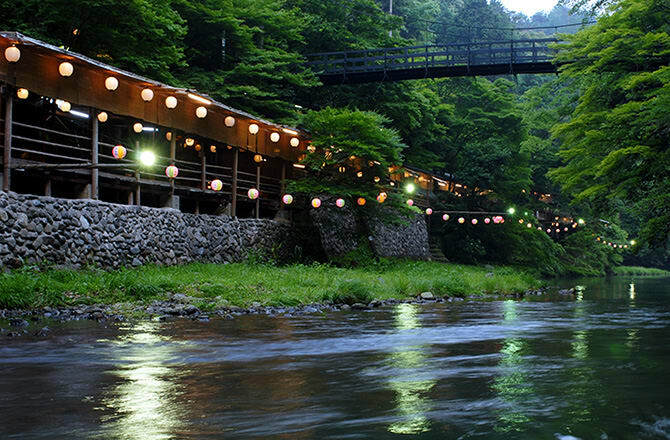 At Momijiya, there is a kawadoko overhanging the clear stream of the Kiyotaki River. Here, you can enjoy kawadoko cuisine while forgetting the bustle of the city. During this season, the sweetfish baked in charcoal is exceptional. Why not enjoy these seasonal dishes of Japan? Momijiya’s dishes are all great. Be sure to check out the recommended plans such as meeting with Maiko and having lunch at the kawadoko. 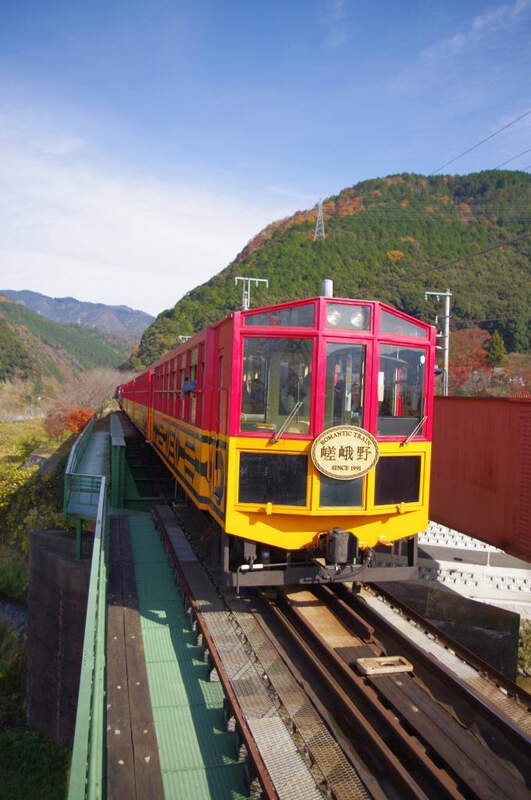 Toroko is originally a small wagon used for cargo transportation and is usually a box type vehicle that runs on special rails that other trains can’t enter. It is a special cart that moves slowly and has a nice feel. The perfect match for such an image is the Sagano Toroko train. The average speed is about 25 km/h, which is a little faster than a bicycle so you can relax and enjoy the scenery from the train. Especially in places where the scenery is beautiful, the slow-moving train allows you to get the full experience of the scenery. Also, the brick style station building, Toroko Sagano Station, located adjacent to Saga Arashiyama station on the JR Sanin Main Line. In addition to the Toroko train boarding ticket being sold in the hall, they also sell Hozu River boat tickets. Right next to the entrance is the SL plaza where 19th century technology in an aged exhibit is there for you to enjoy. There is even a “Diorama Kyoto Japan” the largest railroad diorama! Ride, watch and enjoy the Toroko to the max! Tango Asaichi is held every Sunday morning at Amiti Tango parking lot. Amiti Tango is an up-to-date information center equipped with exhibits of new product development labs, multipurpose halls and stores where you can buy special souvenirs from the Tango area. Many visitors as well as locals visit. In this area, be sure to get the information regarding the Tango Chirimen as well as seeing the weaving and dyeying process of the Chirimen. This is something you can’t experience anywhere else! Don’t forget to check out the asaichi too. Fresh vegetables raised by locals, seasonal fruits, fresh fish, rice, mochi, and much more are brought in and sold here. It is full of rich and quality food ingredients unique to Tango. In addition, many handmade items are sold. Finding souvenirs would be so easy here! Why not wake up early and head to the asaichi. Kumihama-cho is blessed with the sea and nature so it has clean air and abundant agricultural and fishery products. Sunday morning asaichi is held at the Kumihama station tourist information center in Kita Kinki Railway Kumihama station building. Many fresh vegetables made by locals will full heart and handmade prepared dishes are sold. 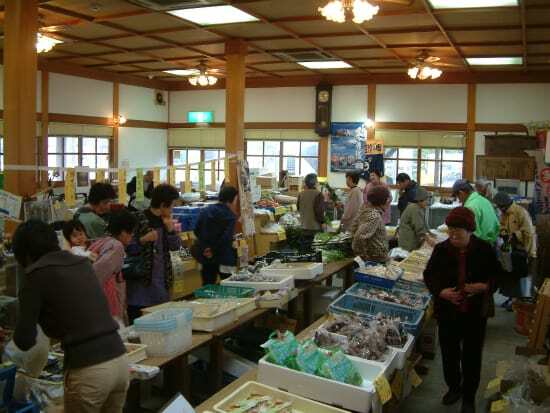 Incidentally, the special products of Kumihama include a variety of seafood snack such as konoshiro sushi (depending on season), jersey ice cream at the Tango jersy ranch, pears, oysters and sake. Tourists as well as locals visit the asaichi. By going you can deepen communication with the locals and enjoy the local atmosphere altogether. Why not going out in the morning to meet the locals while eating delicious food! Motorikyunijyou Castle was built as the guardian of the Kyoto Imperial Palace in 1603 by Tokugawa Ieyasu, and was a lodging facility for the Shogun Jyoraku. Third general Iemitsu moved the mains of Fushimi castle and helped completed it in 1626. It was a place where various histories were also set up, including an interview with Ieyasu and Toyotomi Hidetoshi, a military assembly for Osaka Fuyu Natsu no Jin, and announcement of the Taiseihokan in 1867. 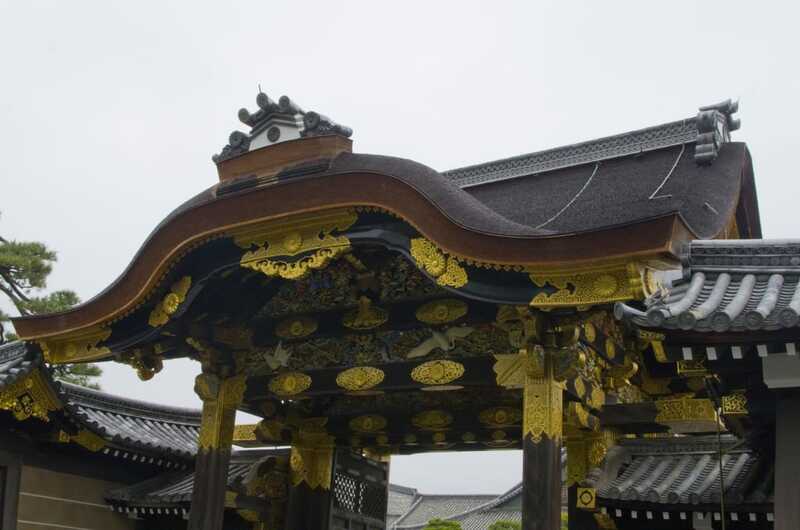 The Ninomaru Goten is a national treasure, Honmaru Goten who replaced the former Katsuragi Goten is an important cultural property (Honmaru Goten inside is not shown to the public), and was registered as a UNESCO World Heritage Site in 1994. In this former Motorikyunijyou Castle, the original paintings of the Ninomaru Goten barrier painting (important cultural property) are displayed for the 4th year at the 400 years Memorial Exhibition and Collection Hall. Currently, the 150th anniversary commemorative exhibition showing the 1st Stage 1st and 2nd panels are also being held. This time, in commemoration of the 150th anniversary of the Taiseihokan, which is widely known through the introduction in textbooks, the Meiji Jingu Shrine Memorial Painting Museum Mural was drawn in detail via and set up for Shogun Daimiyo and Takamatsu to study and view. Why don’t you take a visit to the exhibition and learn about Japanese history? At the Eizan Train, the Yukyu no Kaze, around the Nanbu Furin is underway. 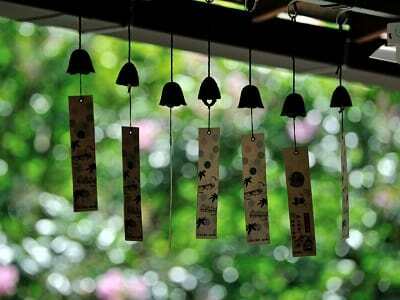 During the event period, the home and waiting rooms of Kurama station are decorated with Furin and fan shaped on day tickets and a Furin train will run. Kurama is an underground that is growing in popularity as a summer resort. Kurama Temple located here is famous as the place where training of Ushiwakamaru (later Minamoto Yoshitsune) was undergone. It is said after training here, he heads to Oushu Hiraizumi the now Iwate prefecture. According to Ushiwakamaru, this time, the Nanbu Furin in Iwate prefecture is said to greet the people who ride the Hiezan train with a cool and healing tone. The Eizan mainline is a line of 5.6 km between Demachiyanagi Station to Yasehieizanguchi station. 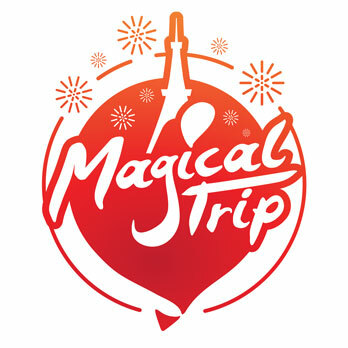 It is a great place with scenery that can be enjoyed from the car window while cooling down with the fan shaped ticket. Joruri Temple enshrines Yakushibutsu in a triple tower, Amidabutsu nine bodies in the main hall, and a garden centered on a treasure pond since the Heian period and it is the only complete temple. The triple tower that enshrines Yakushibutsu, central Takarazuka, and Kyutai Amidado in the west. The name of the temple came from the world of Joruri, a pure land of the Yakushibutsu. The Yakushibutsu is a teacher of Toho Jodo, which saves one from the current suffering and sends them off into the west. The temple comes from the Rurikoujyoudo which is placed in the inner court of the triple tower. The garden, centered around the pond that shaped the letter of the script. The Yakushibutsu in the east and the Amidado in the west represents the paradise world within our realm. There are nine long Amida Nyorai settled net to this side, but in the Heian period it is said that there were more than 30 temples like Joruri mainly in Kyoto. There are many things lost now, and only Joruri temple is only of what remains from that time. The priceless figure as the triple tower of the national treasure is opened on the 8th of every month, the three days following New Years, the spring equinox and the autum equinox. The Yakushiyora zaozu can be seen as it is being published. The buddha statue made of time from the Fujiwara era is designated as an important cultural asset so it is only open on good weather days. 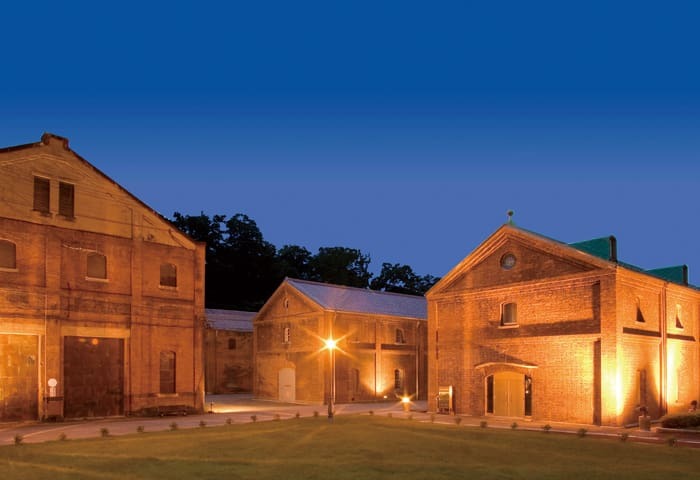 A large red brick warehouse remains in Maizuru east district. There were warehouses that once stored military equipment. Eight of the 12 buildings are designated as important culture assets. The brick building has various emotions attached to it and when you go near, it will make you feel the damages of war. The inside of the warehouse is currently used as a museum, a café, an event venue, etc. Various events such as lives and art exhibitions are held. Also throughout the year, light ups take place from sunset till 10 PM. A beautiful and fantastic figure of the red brick warehouse in the darkness of the night is photogenic. As the red brick are using bamboo is held, you could definitely have a romantic evening. Diorama Kyoto Japan is Japan’s largest railway diorama with a total area of 285.15 m2 and a length of 2.7 km. The characteristic of the diorama here is a model of Kyoto’s historic sites and cityscape which was made extremely elaborately. Shrines and historic sites can all be understood just from this. The real thrill of manipulating a model train by the same master controller as the real railroad model and real train driver seats is fun for kids but for you adults as well. 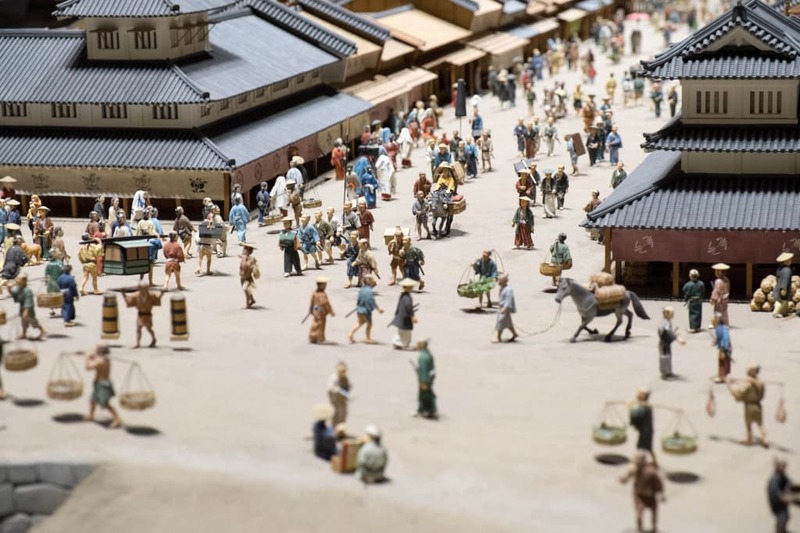 Diorama which reproduced the town of Kyoto also include Kiyomizu Temple, Kinkakuji, Toji, Ryoanji, Gomi sprays, Kyoto tower and it just feels like sightseeing. It is a space that will excite everyone even the ones who are not really interested in railroads.